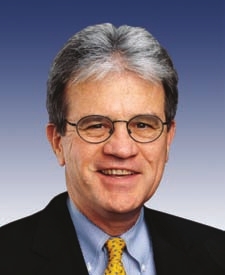 U.S. Sen. Tom Coburn’s political theatrics over extending unemployment benefits thankfully ended this week when Congress voted for the extension and President Barack Obama signed it into law. Coburn, with Republican support, held up the bill under arcane Senate rules, but Democrats were able to eventually get the bill through. The Senate voted 59-38 and the House voted 289-112 in favor of the bill, which will provide another $18 billion in benefits. Coburn argued the unemployment money should be offset, and he used the typical “borrow from future generations” rhetoric that is a major part of the GOP strategy this election year. I applaud the Democrats who had the courage to acknowledge that paying for unemployment benefits is not a callous response to the plight of Americans struggling to find work. Paying for these benefits is the right thing for both unemployed Americans and future generations. Sadly, a majority of Senators voted to borrow from future generations in order to avoid the hard work of budgeting they were elected to do. Note the “callous response” language. How in the world can you not see as callous any attempt to deny help to people who want to work but can’t find jobs? The unemployment rate is at 9.7 nationally. What are these unemployed people supposed to do? Go to homeless shelters? Starve? Coburn’s statements about his stance never directly addressed the human aspects of the issue. He simply used “the plight,” as he called it, of unemployed Americans to score political points. No one argues the federal deficit is not an issue, but we need a rational discussion about what to do about it. This discussion should be about wasteful spending, for sure, but it should also be about increasing revenues, such as rolling back the Bush tax cuts for the country’s wealthiest citizens. Pulling a political stunt over unemployment benefits only adds to the gridlock.